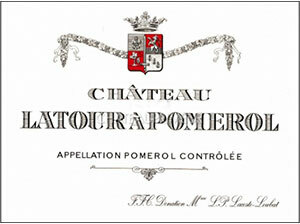 The 2007 Latour-à-Pomerol has a well-defined bouquet with earthy red berry fruit mixed with orange blossom and strawberry pastilles. There is commendable definition here, if not the vigor of a top vintage. The palate has a savory, almost dried blood tincture on the entry. There is fine tension and impressive harmony leading to a poised and autumnal finish. Drink this over the next 5-8 years. Tasted March 2015.